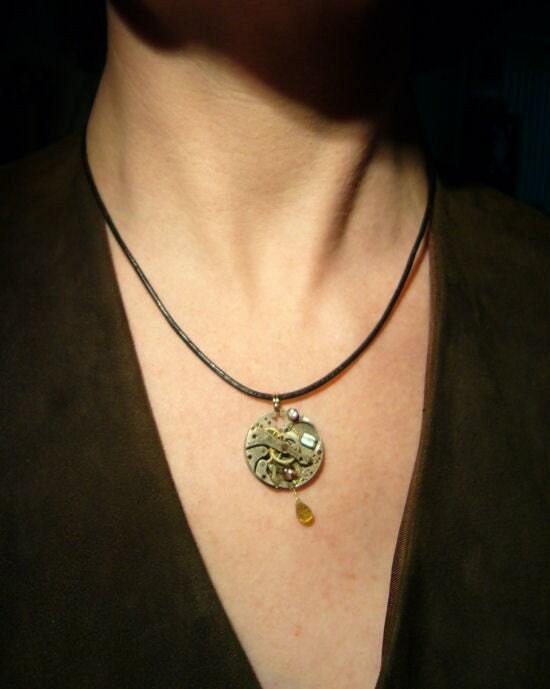 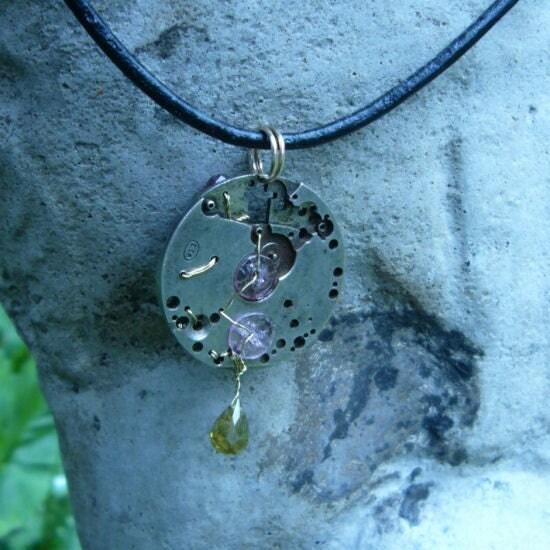 This Steampunk inspired pendant is made from the main body of a small pocket watch with a variety of semi-precious gemstone beads affixed to it. 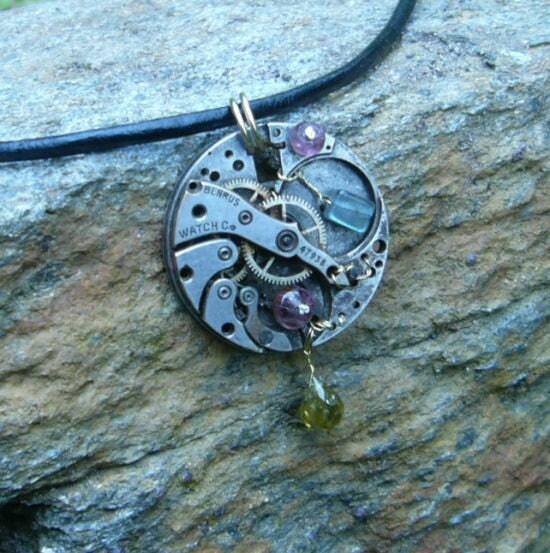 The watch is 7/8" in diameter, and 1 3/8" from the top to the end of the small peridot briollette. 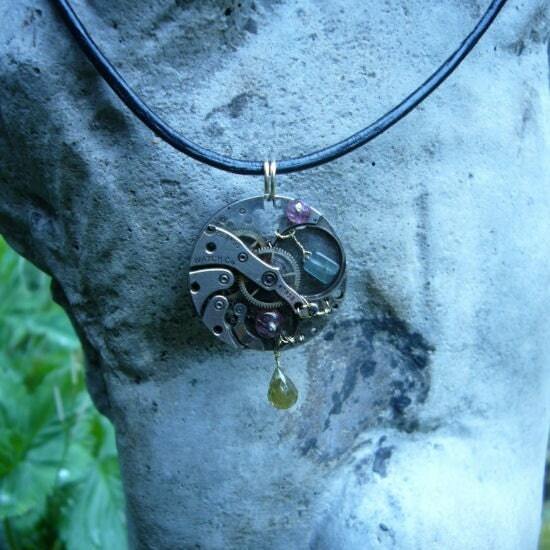 The front has a rectangular labradorite bead and two tourmaline beads (one faceted & one smooth) and the back has two tourmaline "washer" beads affixed with fine brass beading wire. 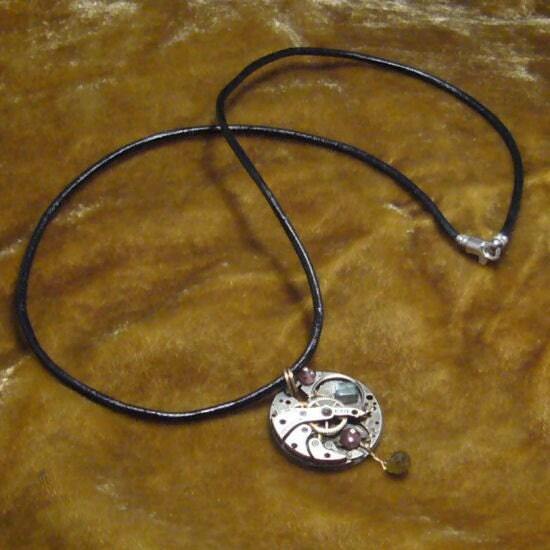 The 18" black leather cord with silver clasp that loops through the jump ring bail is included.